The diary of a woman born in 95 BC in the northern Israeli city of Dan is discovered by Musa, a young worker, in excavations at Tel Dan fifty years ago has remained hidden until now. Elisheva began her chronicle at the age of ten, when her friend almost dies in a bandit raid. She meets Ariel, the son of the Jerusalem merchant, who saves her friend. They marry four years later. Together they develop a trading business specializing in wine and spices that encompasses Galilee, Lebanon, and Damaseq. Using his trading business as cover, Ariel reports to Queen Shlomtsion on military developments in Syria. During a trip to Jerusalem, Elisheva meets the Queen who discusses safeguarding women’s rights in law. When invasion threatens Israel, Queen Shlomtsion forges alliances with Queen Cleopatra and Rome and sends Ariel to negotiate a friendship treaty with Armenia. Musa, now an old man, attempts to sell the diary to raise money to bring his relatives, caught in the civil war in Syria, to Israel. He is caught and sentenced to prison, but his relatives are rescued and brought to Israel. 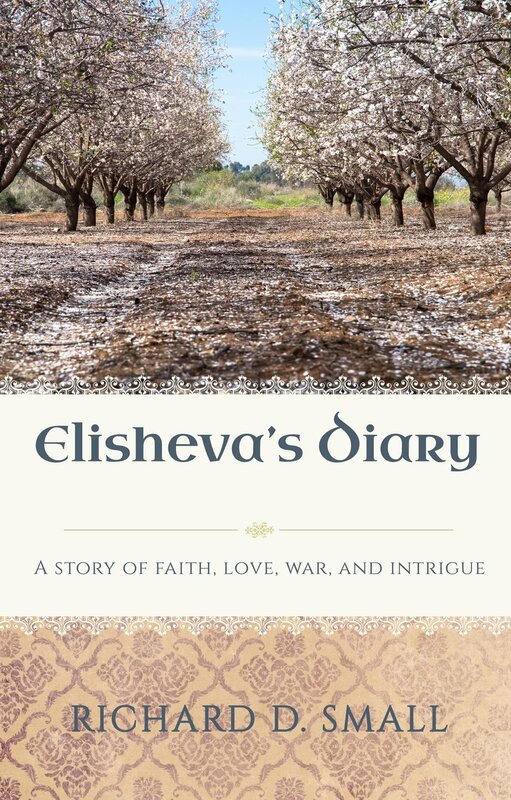 Elisheva’s Diary is a chronicle of an ancient nation struggling to survive in a hostile world. A story of good, evil, compassion, values, and love.